The damask tablecloth in the unique H. C. Andersen design is saturated with wonderfully narrated enjoyment and stands out as a poetic as well as an elegant feature in the table setting. Hans Christian Andersen is famous for his contribution to world literature, but he was also a talented paper cut artist. 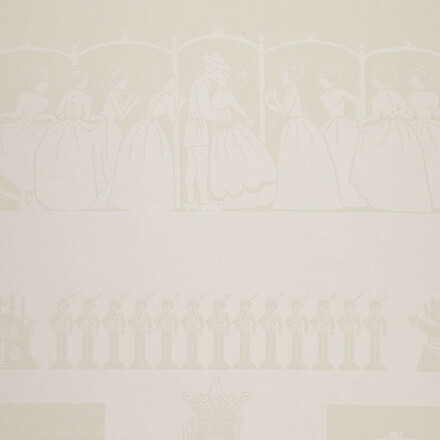 Architect and designer Knud V. Engelhardt began working on the design of Hans Christian Andersen’s paper cut in the 1920s. 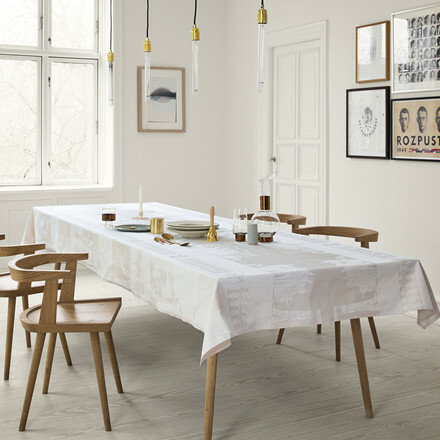 A design that Inger Blegvad Klint carried on after his death in 1931 and which was completed by Georg Jensen Damask for launch for the first time in 1951. Since then, the tablecloth has undergone several adjustments and modifications and was last relaunched in 2004. 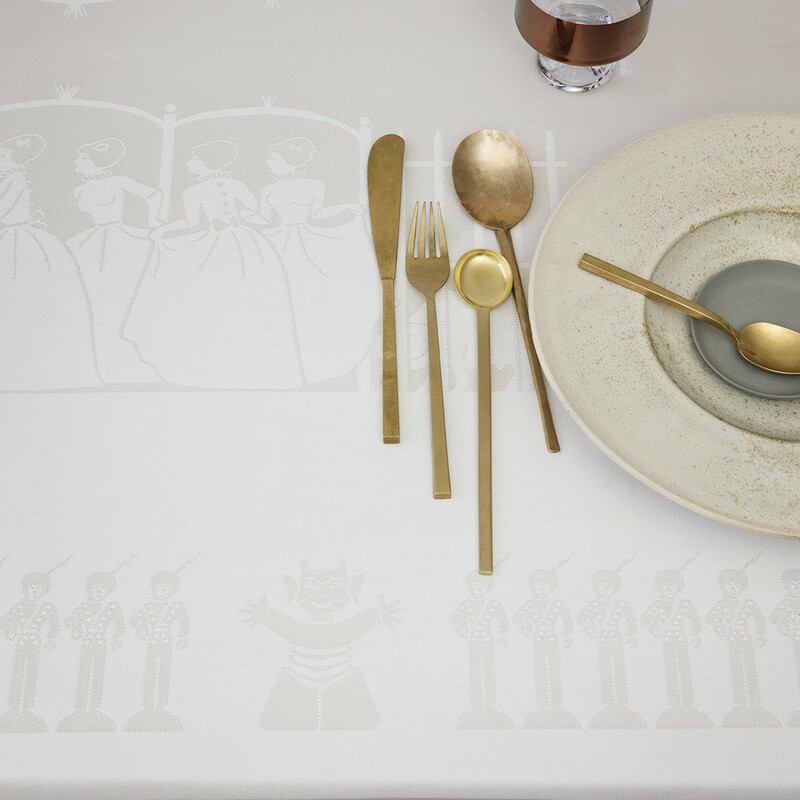 The motifs are woven into the tablecloth to create a multifaceted story, where the Ugly Duckling can be found side by side with other memorable tales and beautiful paper cuts. 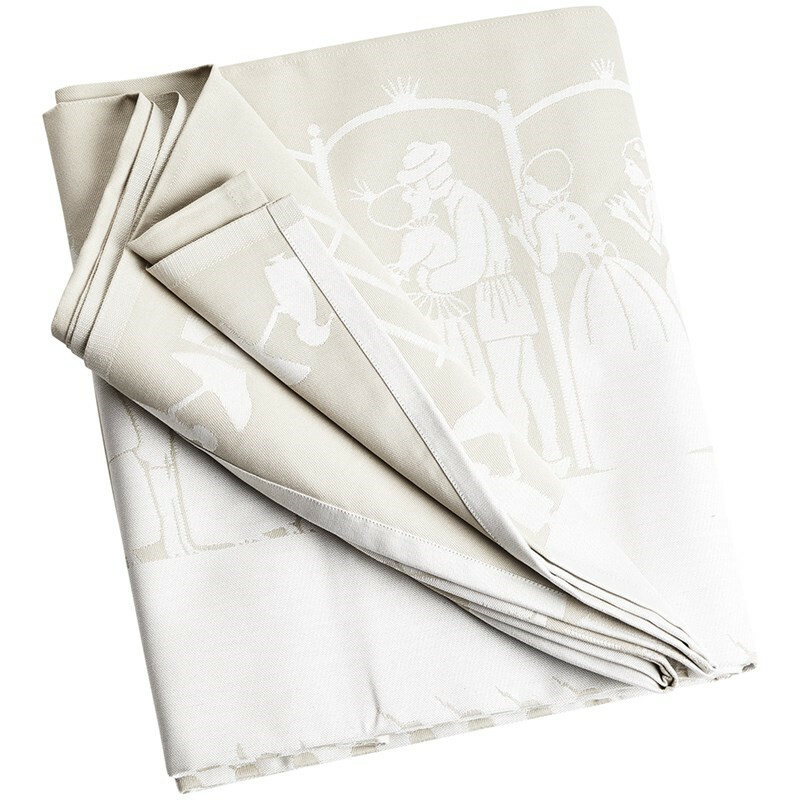 Our collaboration with the Danish Royal Family began in 1952 with the Hans Christian ANDERSEN tablecloth, when Queen Ingrid placed her first of many orders for the Royal Danish Family. Hans Christian ANDERSEN tablecloth with its beautiful Gardenia colour combination is a genuine classic in our collection. It was re-launched in the 1990s and has brought great pleasure to many children and adults at birthdays and numerous other special occasions. Matching napkins, woven in linen complete the expression. The H.C. ANDERSEN is also available as napkins.